Citation: Kalinova D. Response of Chronic, Relapsing Wegener’s Granulomatosis with Severe Pulmonary Involvement to Anti-CD20 Monoclonal Antibody (Rituximab). 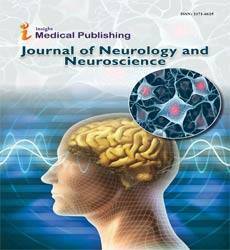 J Neurol Neurosci. 2016, 7:4. Wegener's granulomatosis (WG) and microscopic polyangiitis (MPA) are primary systemic small vessel vasculitides with predilection for the respiratory tract and kidneys. Most patients have circulating antineutrophil cytoplasmic antibodies (ANCAs) reacting either with neutrophil proteinase-3 (PR3) or myeloperoxidase (MPO). The combination of glucocorticoids and cylophosphamide is the standart therapy for patients with severe WG or MPO. ANCA-associated vasculitis has a high relapse rate, and some patients do not respond satisfactory to this treatment. Rituximab is a chimeric monoclonal antibody directed against CD20, a cell surface antigen expressed almost exclusively on cells of B-lymphocytes lineage. A rationale for Rituximab in ANCA-associated vasculitis was based on its potential to deplete CD20+ precursors of ANCA-secreting plasma cells. Rituximab is an advanced in the treatment of ANCAassociated vasculitis and has a place in the therapeutic armament as an alternative to Cyclophosphamide or for refractory disease. We present a case of a young patient with chronic, relapsing ANCA-associated vasculitis (Wegener's granulomatosis) with severe pulmonary involvement in whom the use of Cyclophosphamide failed to control disease activity. Subsequently the patient was treated successfully with Rituximab. The most frequent complications after the applications of Rituximab are different infections. Some months after the use Rituximab we diagnosed a lobar pneumonia in the patient. The patients with autoimmune diseases are immunosuppressive and are disposed to infections. The aim of the present article is to present the use Rituximab as a future option in the treatment of ANCA-associated vasculitis. Wegener’s granulomatosis (WG) and microscopic polyangiitis (MPA) are primary systemic small vessel vasculitides with predilection for the respiratory tract and kidneys . Most patients have circulating antineutrophil cytoplasmic antibodies (ANCAs) reacting either with neutrophil proteinase-3 (PR3) or myeloperoxidase (MPO). The combination of glucocorticoids and cylophosphamide is the standart therapy for patients with severe WG or MPO [2,3]. Depending on the definition, remission can be induced in about 70% to 90% of patients with this regimen [2-4]. Nevertheless, ANCA-associated vasculitis has a high relapse rate, and some patients do not respond satisfactorily to this treatment . Initial studies implicating B lymphocytes as active participants in the pathogenesis of WG provided the rationale for using Cyclophosphamide to treat this disease [6,7]. More recently, the number of activated peripheral blood B lymphocytes has been linked to disease activity and to extent of organ involvement . B lymphocytes are also instrumental for the production of autoantibodies including ANCA, which have multiple proinflammatory effects that can contribute to the development of tissue injury and vasculitis [9,10]. Rituximab is a chimeric monoclonal antibody directed against CD20, a cell surface antigen expressed almost exclusively on cells of B-lymphocytes lineage . Binding of the antibody to CD20 results in selective depletion of B lymphocytes by a variety of different mechanisms, but not plasma cells [12,13]. A rationale for Rituximab in ANCAassociated vasculitis was based on its potential to deplete CD20+ precursors of ANCA-secreting plasma cells and impede B-cell cytokine-supported plasma cell survival in inflammatory niches . Different conducted trials for use of Rituximab in patients with refractory Wegener’s granulomatosis approved the hypotheses that in patients with refractory ANCAassociated vasculitis selective B-cell depletion with anti-CD20 therapy is effective for induction of remission, allows tapering and discontinuation of glucocorticosteroid without relapse [15,16]. We present a case of a young patient with chronic, relapsing ANCA-associated vasculitis (Wegener’s granulomatosis) with severe pulmonary involvement in whom the use of Cyclophosphamide failed to control disease activity. Subsequently the patient was treated successfully with Rituximab. In the autumn of 2011, the patient, a 32-year-old man, presented to the general practitioner with dry cough and erythema rash - papules, confluating, to form plaques mainly located in the neck, the chest and the arms. Therapy with oral Methylprednisolone (24 mg) caused a resolution of the patient’s symptoms. Two weeks later the patient presented to the general practitioner again with complaints of fever (38.50 C), marked astheno-adynamic syndrome, coughing up blood and chest pain, worsened by breathing. It was made chest Xray, as it was found some nodules in the lungs and pleural effusion. The patient was admitted to the Clinic of Pulmonary diseases, UMHAT “St. Georgе”, Plovdiv. Computed tomography obtained with lung window settings confirmed the pulmonary lesions. A high density mass with spicules in the middle lobe of the right lung, (96/41 mm) was demonstrated, similar formation around the superior lobe of the left lung, peripheral nodule in the X-th bronchopulmonary segment in the left lung and pleural effusion in the left. Fibrobronchoscopy was performed. A biopsy of the lung showed clusters of lymphocytes, macrophages and fibroblasts, forming granulomas without necrosis. Cultures and stains of the lung were negative for infectious organisms. Mantoux test for tuberculosis was performed and it was negative, as well as following Quantiferon test. The abnormal laboratory findings revealed positive cANCA (cytoplasmic ANCA, indirect immunofluorescence) and positive antibodies to PR3 (proteinase 3 antigen). A diagnosis of ANCA-associated vasculitis, Wegener’s granulomatosis, was established. Pulse therapy with Methylprednisolone (500 mg I.V.) and Cyclophosphamide (750 mg I.V.) was started in three consecutive months. The patient was tested for tumor markers associated with testicular cancer – AFP (α-fetoprotein), hCG (human chorionic gonadotropin) and LDH (lactate dehydrogenase), which were negative. Computed tomography of the abdomen showed no pathological changes. The urologist suggested surgical intervention, which wasn’t performed due to activity of the vasculitis. A decision was made to follow up the patient. Intravenous Methylprednisolone 1 gr/day/I.V. for 3 days and Cyclophosphamide 1 gr/day/I.V. were given, followed by Methylprednisolone 60 mg/day. Dapsone (diamino-diphenyl sulfone) 100 mg/day was added. One month later, the ESR and CRP values had normalized, some clinical symptoms (arthritis, myalgias, rash, epistaxis) had resolved, whereas the shortness of breath and the dysphonia persisted. A control ultrasound imaging of the testicles showed two hypoechogenic formations with heterogenetic structure. Pulse therapy with Methylprednisolone (1 gr/I.V.) and Cyclophosphamide (1 gr/ I.V.) was continued monthly. The corticosteroid dosage was tapered slowly by 4 mg/day every ten days and Dapsone have been continued. In the next months, cANCA and anti-PR3 antibodies had normalized. In March 2013, the patient developed a clinical relapse with astheno-adynamic syndrome, coughing up blood, epistaxis, enlargment of the lung nodules, a rise in the ESR to 45 mm/ hour, CRP 35 g/l, positive cANCA (IFI) and anti-PR3 antibodies. Pulse therapy was continued, as Methylprednisolone dosage was increased to 60 mg/day and Azathioprine 150 mg/day, was added to his treatment regimen. One month later, the ESR and CRP normalized again with concurrent improvement of the symptoms, but autoantibodies (cANCA titer and anti-PR3) remained elevated. The Methylprednisolone dosage was tapered slowly, Azathioprine (150 mg/day) and Dapsone (100 mg) were continued. Six months later (in August-September 2013) the patient presented to the clinic with complaints of fever (38.5°C), excessive sweating, cough with rust-coloured expectoration, severe large-joint arthralgias, tinnitus (hissing) in the right ear. A chest X-ray and computed tomography imagings showed increase of the size of the nodules in the lungs, with some of the nodules cavitating (Figure 1). Figure 1 Computed tomography of the chest (September 2013): Nodules with irregular conturs. A cavitating pulmonary nodule in 1st and 2nd bronchopulmonary segments in the left lung. Computed tomography of the head showed otitis media of the right ear. The ESR and CRP values were again elevated, respectively, and the cANCA titer 1: 80 (normal <1:20) and anti-PR3 antibodies >100 U/ml (normal <5 U/ml). Cultures of the sputum were negative for infectious organisms. Due to suspicion for superimposed infection in the cavitating nodules, antibiotic therapy was started – Ceftriaxone 2 gr/day/I.V., Amikacin 2 × 500 mg/day/I.V. and antifungal therapy with Fluconazole 200 mg/day/I.V. The Methylprednisolone dosage was increased to 60 mg/day. After the end of the antibiotic course, the consecutive pulse with Methylprednisolone and Cyclophosphamide was made. The current article present the clinical case of a young man with chronic, relapsing ANCA associated vasculitis Wegener’s granulomatosis in whom the use of immunosuppressive agents failed to control the disease activity. A decision was made to treat the patient with Rituximab based on the hypothesis that these biologic agents would eliminate B lymphocytes and result in rapid removal of the pathogenic cANCA. It was made course of 4 weekly infusions of 375 mg/m2 (700 mg) of Rituximab without experiencing any side effects. One month later the clinical symptoms (arthralgias, cough, rustcoloured expectoration, tinnitus, constitutional features) resolved, the ESR and the CRP values normalized, the immunological findings had been reduced – cANCA 1:20 and anti-PR3 15.2 U/ml. Anti-PR3 levels are illustrated in Figure 2. Figure 2 levels of anti-PR3 antibodies, measured by ELISA method. In September 2013, anti-PR3 Abs >100 U/ml, as then it was made a course of Rituximab. In March 2014, the patient still had no symptoms suggestive of a relapse. Nonspecific markers of inflammation (ESR and CRP) remained normal, cANCA and anti-PR3 antibodies were negative. Computed tomography scans revealed that the lung nodules were reduced in size (Figure 3). Figure 3 Compound tomography of the chest (March 2014): Reduced size of the lung nodules in comparison with previous CT (September 2013). The patient’s disease activity score on the Birmingham Vasculitis Activity score for Wegener’s granulomatosis, which was 7 at the time of initiation of Rituximab therapy, had fallen to 1. The Methylprednisolone dosage was tapered slowly to 8 mg/day. The patient continues therapy with Dapsone 100 mg/ day. T and B lymphocytes, NK (natural killers) cells were measured at the serial relapse of the vasculitis (Augus t 2013 cumulative Cyclophosphamide dose 20 gr). We tested flow cytometry immunophenotyping one month later (September 2013), as the immunosuppressive therapy was stopped. T and B cells marker were measured at 1 and at 6 months after completion of Rituximab course. The results of flow cytometry immunophenotyping and autoantibodies are presented in Table 1 and they are illustrated in Figure 4. Figure 4 The results of flow cytometry immunophenotyping. Table 1 Flow cytometry immuno-phenotyping and autoantibodies. We analyzed T and B cells markers at the serial relapse of the vasculitis, as the patient had received a cumulative dose of 20 gr Cyclophosphamide and found that the agent had reduced the B cells count (3%) and had had stronger suppressive effect on CD8+ T cells than CD4+ T cells. Subsequently we compared flow cytometry immunopnenotyping before and after completion of Rituximab therapy and determined that the counts of total T lymphocytes and cytotoxic T cells increased, and NK cells had remained normal. It was interesting that T helper cells decreased, as at 6 months after Rituximab course T helper cells started to rise. Whereas CD19 positive cells, including B cells, were essentially absent. At 6 months after completion of the first Rituximab course, B cells have been absent and the patient’s cANCA titer been negative yet. The patient has continued to be in complete clinical remission. Before and after Rituximab application we studied the soluble fractions of some adhesion molecules – sICAM (intercellular adhesion molecule 1) and sPECAM (platelet endothelial cell adhesion molecule) and serum cytokine levels of IL-8, IL-10, TNFα. We didn’t find a difference between levels of adhesion molecules (sICAM, sPECAM) and serum levels of tested cytokines before and after Rituximab course. In August 2014, the p atient remained in complete remission as it was found borderline titer for cANCA 1:20. Analyzing flow cytometry immunophenotyping, the counts of total T lymphocytes, T cytotoxic, T helper and NK cells remained normal, whereas B cells have been absent. We tested immunoglobulin levels (IgG, IgA, IgM) and found stable immunoglobulin levels – IgA 2.12 g/l (normal 0.71-3.6), IgG 11.2 g/l (6.58-18.37), IgM 0.74 g/l (0.4-2.63). This is in contrast to the complete B lymphocyte depletion. A decision was made to repeat Rituximab course, based on the borderline titer for cANCA, persitent lung nodules, the young age of the patient, aggressive course of the disease and for maintenance of the remission after tapering of glucocorticoids. The use of Cyclophosphamide has revolutionized the treatment of small vessel vasculitis. This alkylating agent remains the most effective drug for the control of disease activity. It targets all types of proliferating immune cells nonspecifically, influencing cell-mediated and humoral immune response . It has most profound effect on B cells function and stronger suppressive effect on CD8+ T cells than CD4+ T lymphocytes. Unfortunately, the toxicity of Cyclophosphamide limits its long-term use, and the management of patients with chronic relapsing disease becomes a challenge . Rituximab is a chimeric monoclonal antibody directed against CD20, a cell surface antigen expressed almost exclusively on cells of B-lymphocyte lineage . Binding of the antibody to CD20 results in selective depletion of B lymphocytes by a variety of different mechanisms [12,13]. It has been hypothesized that B lymphocytes are active participants in the pathogenesis of Wegener’s granulomatosis. B lymphocytes are instrumental for the production of autoantibodies including ANCA, which in turn have multiple proinflammatory effects on neutrophils, monocytes, and endothelial cells, can contribute to the development of tissue injury and vasculitis [9,10]. Various large clinical studies have indicated that ANCA levels correlate with disease activity. But relapses of Wegener’s granulomatosis in the absence of cANCA have been reported . A clear relationship between B cell numbers and ANCA levels has not been documented by different investigators [19,20]. In our patient, after the cumulative dose of 20 gr with Cyclophosphamide, we detected B cells 3%, positive cANCA 1: 80 and anti-PR3 >100 U/ml, as the appearance of autoantibodies resulted in clinical relapse. The recurrence of cANCA 10 months after completion of the first course of Rituximab was not preceded by a rise of peripheral blood B lymphocytes. The initial hypothesis (B cells produce antibodies, including ANCA) raises an interesting question about the origin of anti-neutrophil cytoplasmic antibodies and the longevity of the plasma cells. It is thought that antibody responses are dependent on the continuous differentiation of B cells into antibody-secreting plasma cells, as the plasma cells are short-lived . A recent animal model study has shown that a substantial fraction of plasma cells can survive and continue to secrete antibodies for periods of time exceeding 1 year . This indicates that some plasma cells may be longderived. In contrast to B cells, plasma cells do not express the CD20 antigen and, hence, are not directly affected by Rituximab therapy 16. The persistence of cANCA in the absence of B cells after the first Rituximab course supports the existence of long-lived plasma cells. It is thought that B cells settle in the granulomas, cannot be detected in the peripheral blood and respectively remain unaffected by Rituximab. This hypothesis can explain the negative correlation between positive cANCA and absent B cells. Another interesting fact in the current clinical case is the drop of the cANCA levels, whereas the total immunoglobulin levels (IgG, IgM, IgA) remained stable after the first Rituximab course. This is consistent with previous observations in a variety of autoimmune diseases, where autoantibodies levels are suppressed but immunoglobulin levels remain unaffected by Rituxmab therapy [15,21]. Cambridge et al. suggested that total immunoglobulins are produced by long-lived plasma cells, which do not express the CD20 antigen and are not affected by anti-CD20 monoclonal antibody . Several groups of investigators suggest that the pathogenic role of Blymphocytes in Wegener’s granulomatosis goes beyond their function for autoantibody production [6,19]. The current case report presented a 32-year-old patient with ANCA associated vasculitis Wegener’s granulomatosis, characterized by severe lung involvement (nodules with cavitation), probable granulomas in the left testicle, otitis media of the right ear, with chronic, relapsing course and resistance to standard immunosuppressive therapy. One course of 4 weekly infusions of 375 mg/m2 of Rituximab was made, as the patient achieved complete remission. Published data on re-treatment with Rituximab have shown it to be effective at relapse. No randomized trial of retreatment protocols have been carried out. Some patients have been treated only on relapse, some when ANCA levels rising or peripheral B-cell reconstitution. Neither of these biomarkers is a dependable predictor of relapse . According to Koegh et al. after successful depletion of B lymphocytes, remission induction and glucocorticoid taper, patients were retreated with Rituximab after return of B lymphocytes if they experienced a clinical relapse, or if they remained in clinical remission but became ANCA positive again . In the event of a clinical relapse the entire remission induction regimen was repeated . The decision was made to repeat Rituximab course, based on the borderline titer for cANCA, persitent lung nodules, young age of the patient, aggressive course of the disease and maintenance of the remission after tapering of glucocorticoids. Rituximab is an advanced in the treatment of ANCAassociated vasculitis and has a place in the therapeutic armament as an alternative to Cyclophosphamide or for refractory disease . Jennette JC, Falk RJ, Andrassy K, Bacon BA, Churg J, et al. (1994) Nomenclature of systemic vasculitides: The proposal of an International Consensus Conference. Arthritis Rheum 37: 187-192. Jayne D, Rasmussen N, Andrassy K, Bacon P, Cohen Tervaert JW, et al. (2003) A randomized trial of maintenance therapy for vasculitis associated with antineutrophil cytoplasmic autoantibodies. N Engl J Med 349: 36-44. WGET Research Group (2005) Etanercept plus standard therapy for Wegener’s granulomatosis. N Engl J Med 352: 351-361. Hoffman GS, Kerr GS, Leavitt RY, Hallahan CW, Lebovics RS, et al. (1992) Wegener granulomatosis: an analysis of 158 patients. Ann Inter Med 116: 488-498. Koegh KA, Wylam ME, Stone JA, Specks U (2005) Induction of remission by B lymphocytes depletion in eleven patients with refractory antineutrophil cytoplasmic antibody-associated vasculitis. Arthritis Rheum 52: 262-268. Cupps TR, Edgar LC, Fauci AS (1982) Suppression of B lymphocytes function by cyclophosphamide. J Immunol 128: 2453-2457. Zhu LP, Cupps TR, Whalen G, Fauci AS (1987) Selective effects of cyclophosphamide therapy on activation, proliferation, and differentiation of human B cells. J Clin Invest 79: 1082-1090. Popa ER, Stegeman CA, Bos NA, Kallenberg CG, Tervaert JW (1999) Differential B- and T-cell activation in Wegener’s granulomatosis. J Allergy clin immunol 103: 885-894. Clayton HR, Savage CO (2003) Production of antineutrophil cytoplasm antibodies derived from circulating B cells in patients with systemic vasculitis. Clin Exp Immunol 132: 174-179. Russell KA, Specks U (2001) Are anti-neutrophil cytoplasmic antibodies pathogenic? Experimental approaches to understand the antineutrophil cytoplasmic antibody phenomenon. Rheum Dis Clin North Am 27: 815-832. Tedder TF, Engel P (1994) CD20: a regulator of cell-cycle progression of B lymphocytes. Immunol Today 15: 450-454. Shan D, Ledbetter JA, Press OW (2000) Signaling events involved in anti-CD20-induced apoptosis of malignant human B cells. Cancer Immunol Immunother 48: 673-683. Golay J, Zaffaroni L, Vaccari T, Lazzari M, Borleri GM, et al. (2000) Biologic response of B lymphoma cells to anti-CD20 monoclonal antibody ituximab in vitro; CD55 and CD59 regulate complement-mediated cell lysis. Blood 95: 3900-3908. Guerry MJ, Brogan P, Bruce IN, D’Cruz DP, Harper L, et al. (2012) Recommendations for the use of rituximab in anti-neutrophil cytoplasm antibody-associated vasculitis. Rheumatology 51: 634-643. Keogh K, Yttenberg SR, Fervenza FC, Carlson KA, Schroeder DR, et al. (2006) Rituximab for refractory Wegener’s granulomatosis. Am J Resp Crit Care Med 173: 180-187. Specks U, Fervenza F, Mcdonald TJ, Hogan MC (2001) Response of Wegener’s granulomatosis to anti-CD20 chimeric monoclonal antibody therapy. Arthritis Rheum 44: 2836-2840. Reinhold KE, Beuge N, Latza U, De Groot K, Ruderd H, et al. (2000) An interdisciplinary approach to the care of patients with Wegener’s granulomatosis: long-term outcome in 135 patients. Arthritis Rheum 43: 1021-1032. Boomsma MM, Stegeman CA, Van der Leji MJ, Oost W, Hermans J, et al. (2000) Prediction of relapses in Wegener’s granulomatosis by measurement of antineutrophil cytoplasmic antibody levels: a prospective study. Arthritis Rheum 43: 2025-2033. Rasmussen N, Petersen J, Ralfkiaer E, Avnstrom S, Wiik A (1988) Spontaneous and induced immunoglobulin synthesis and antineutrophil cytoplasm antibodies in Wegener’s granulomatosis: relation to leukocyte subpopulations in blood and active lesions. Rheumatol Int 8: 155-158. Slifka MK, Antia R, Whitmire JK, Ahmed R (1998) Humoral immunity due to long-lived plasma cells. Immunity 8: 363-372. Cambridge G, Leandro MJ, Edwards JC, Ehrenstein MR, Salden M, et al. (2003) Serologic changes following B-lymphocytes depletion therapy for rheumatoid arthritis. Arthritis Rheum 218: 2146-2154. Stone J, Merkel P, Spiera R, Seo P, Langford C, et al. (2010) Rituximab versus Cyclophosphamide for ANCA-associated vasculitis N Engl J Med 363: 221-232.